The Dread Pirate Roberts is one of the characters of the movie The Princess Bride, a romantic fantasy adventure comedy film aired in 1987. The Dread Pirate Roberts is an infamous name that everyone who sails the sea fears. He is a pirate that is well-known for not leaving captives alive, hence why everyone is afraid of him. Dread Pirate Roberts is not just one person, but a series of different persons that pass on the name to a chosen successor. The movie began with a character named Ryan as the one using the Dread Pirate Robert’s name. He then passed it on to Westley, a farm boy who set on a journey to seek wealth for his marriage to Buttercup. Though Westley may not be the most favorite character, a lot of the audiences still liked him, especially the women. That’s due to handsome and good looking the character is, especially as the Dread Pirate Roberts. 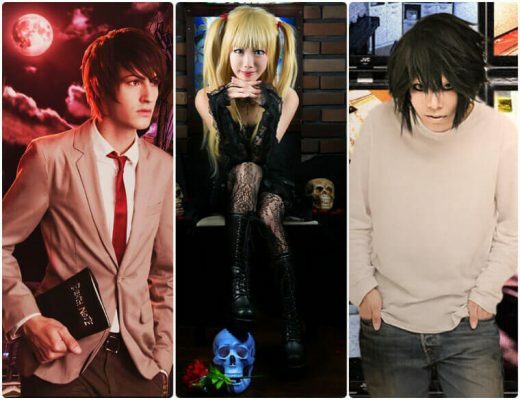 It makes him an ideal option for guys to cosplay in. 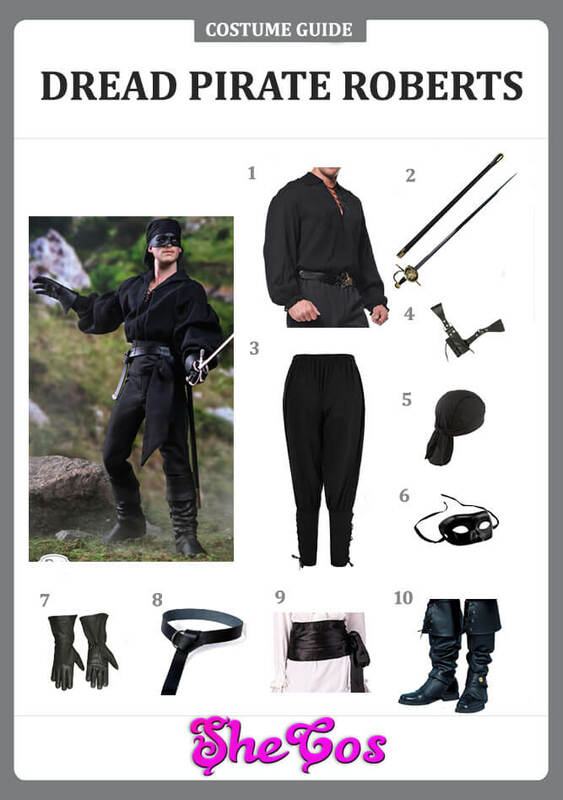 This article is a Dread Pirate Roberts costume guide. Dread Pirate Roberts is one of the main characters of the movie The Princess Bride. Westley, the protagonist, and a farm boy is the one who donned this name during the film. The previous user of the name captured him when he was on a journey to find wealth and riches. The name was then passed on to him, and he carried it throughout the movie to build his wealth. The awe and mystique surrounding the character Dread Pirate Roberts makes him one of the favorite choices for people to dress up as The Princess Bride characters. His costume consists of a black collared long sleeves pirate shirt with black pirate pants and a black head wrap. It also comes with a black mask, a black sash wrapped around the waist, black gloves, a black leather belt, and black pirate boots. The set is completed with a rapier with scabbard and black sword frog that attaches to the belt. Dread Pirate Roberts is a notorious pirate in The Princess Bride movie. 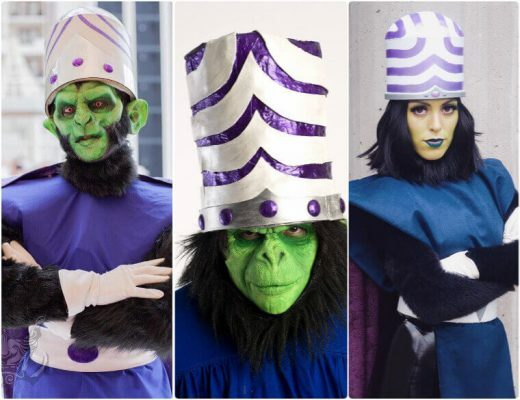 He is known as someone who doesn’t leave any of his captives alive. In reality, though, the captive that the pirate does keep becomes the successor to take the name and reputation of Dread Pirate Roberts. That is how the protagonist of the movie, Westley, became the Dread Pirate Roberts in the film. One of the coolest things about Dread Pirate Roberts is not just his mystique but also his appearance. 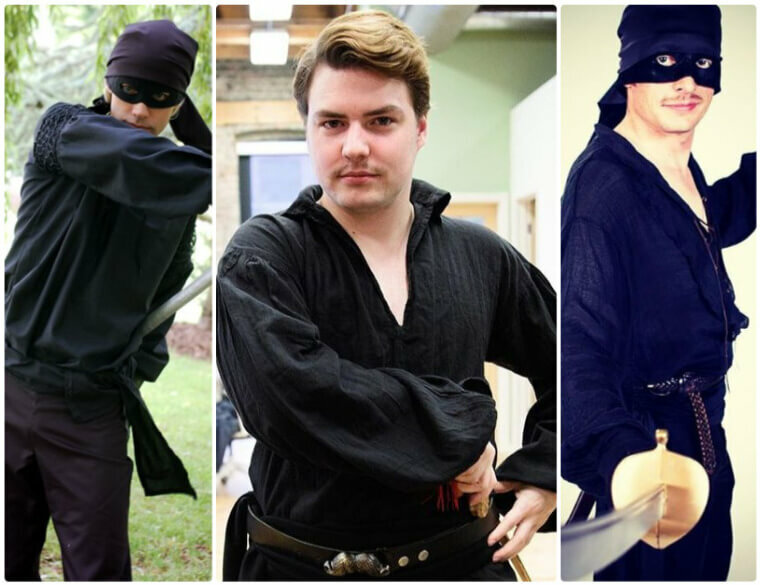 Dread Pirate Roberts doesn’t look like your typical pirate, as he looks more like a hero. Since he needs to protect his identity, he wears a mask when he goes on a raid. He also wears all black to make people recognize that he is the Dread Pirate Roberts. If you look at the Dread Pirate Roberts cosplay photos, you can see how cool looking this character is, regardless if men or women are dressing up like him.